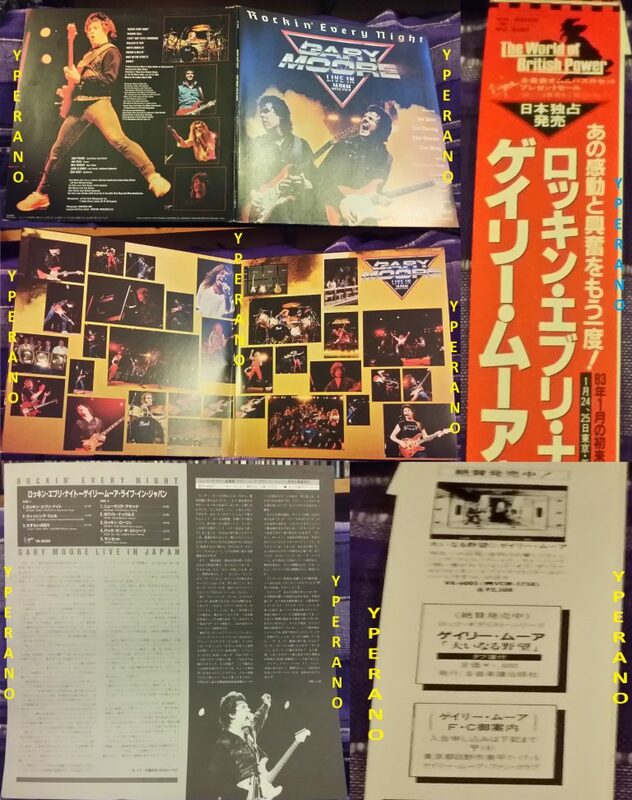 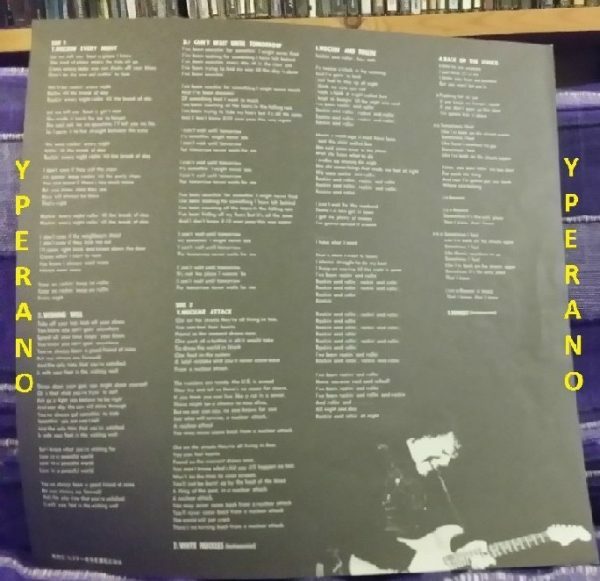 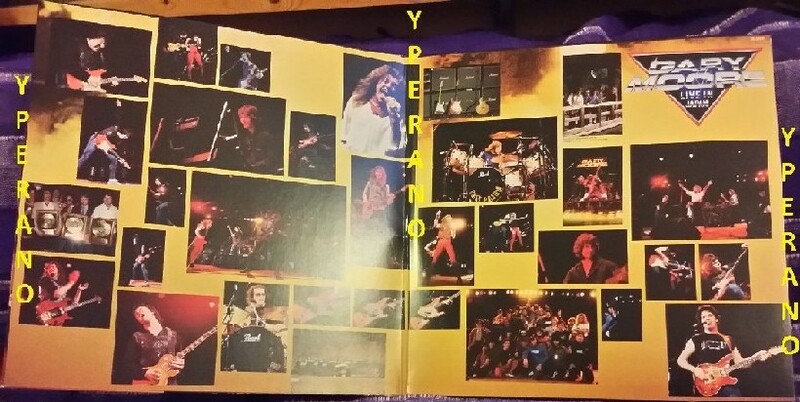 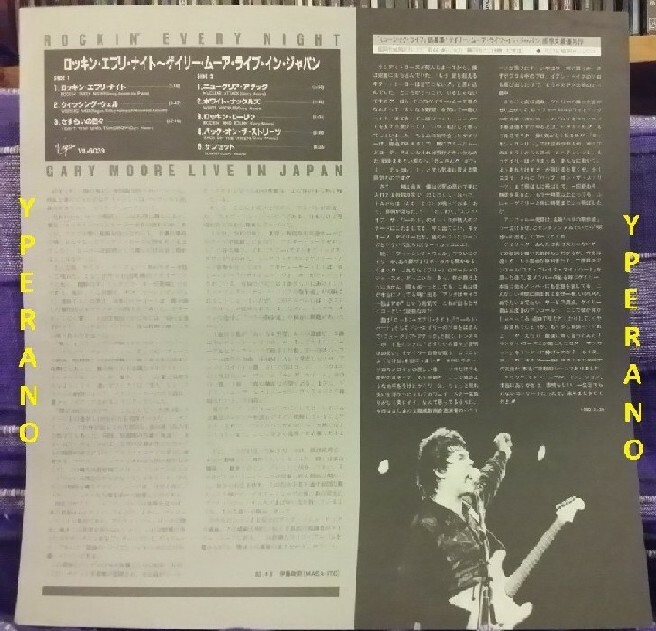 1983 Japanese only 8-track LP recorded live at Tokyo Kosei Nenkin Kaikan on January 24th and 25th of 1983 gatefold picture sleeve plus lyric insert. 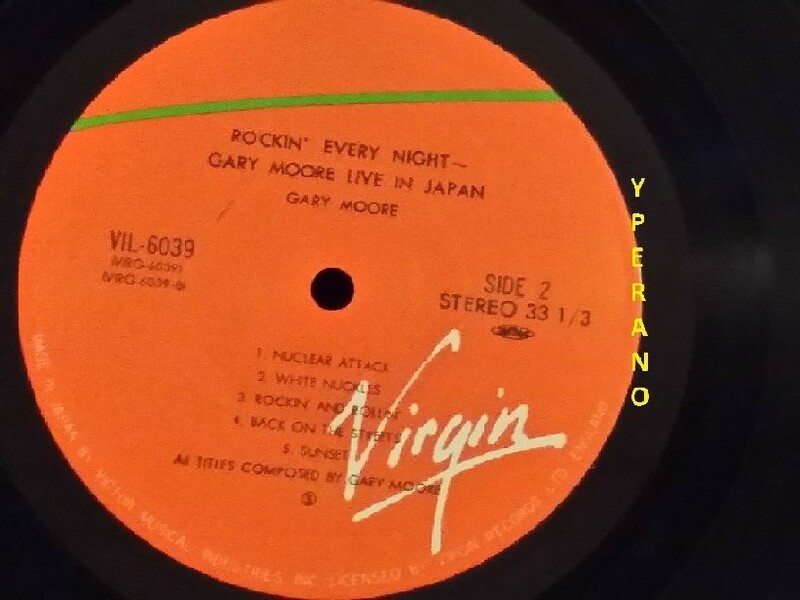 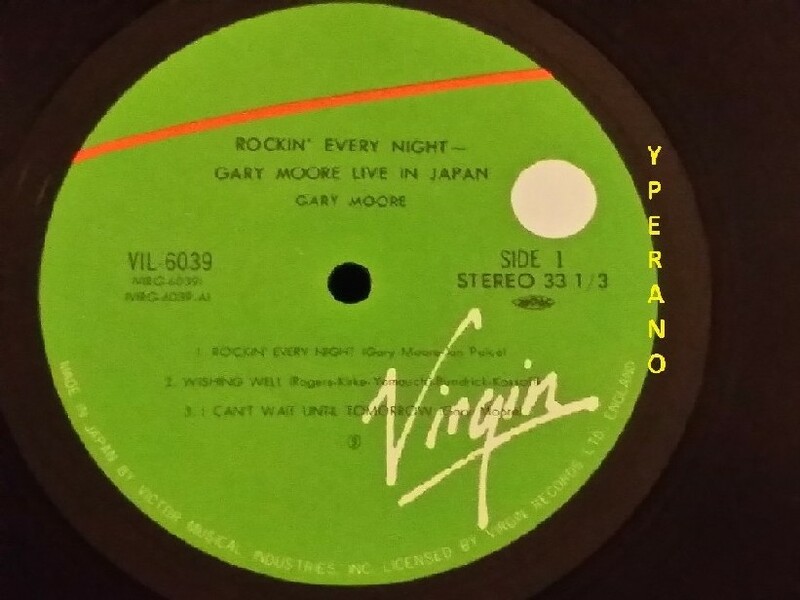 Rockin’ Every Night Live in Japan is a live album recorded by Gary Moore at Tokyo’s Shinjuku Kousei Nenkin Hall in 1983, during the Corridors of Power tour. 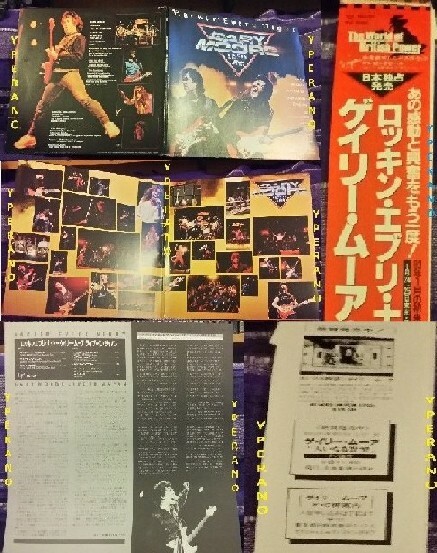 Despite being released in Japan in 1983, it was not given a European release until 1986. The song “Sunset”, which had been a staple of Moore’s live setlist since 1980 – despite not appearing in studio form until 1982, when it surfaced on Cozy Powell’s Tilt album in 1982 – is dedicated to the late Randy Rhoads, who had died several months prior. Keyboardist Don Airey had previously recorded and performed with Rhoads in Ozzy Osbourne’s backing band. 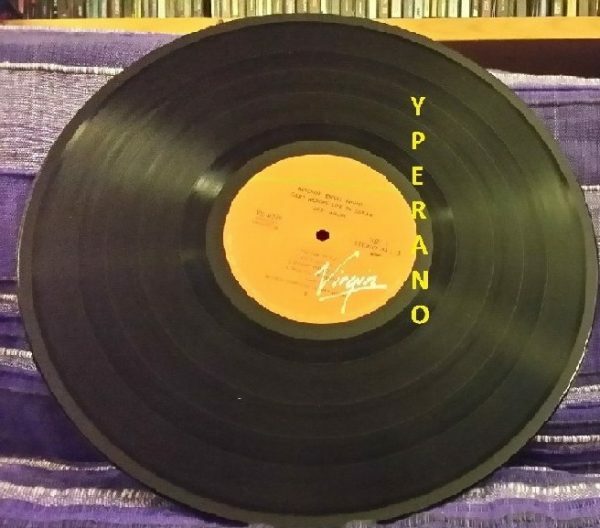 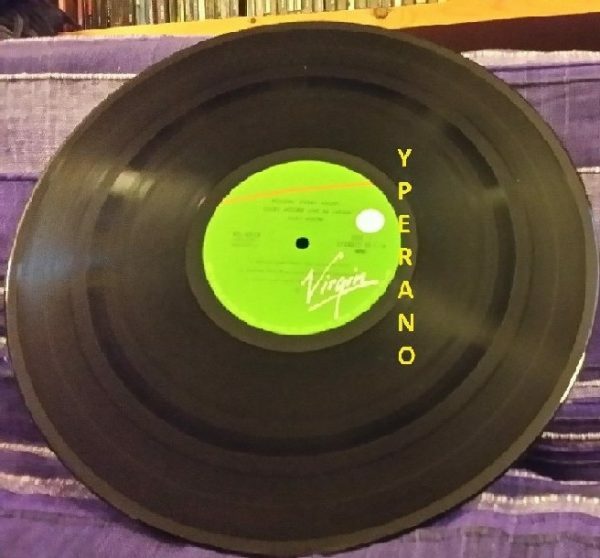 SKU: YP-33 Categories: All Genres, Hard Rock, Heavy Metal, Search by Media Type, 12 "